Remembering for the Future initiative aims at collecting various World War I related projects and activities organised by Adult Education providers together in order to create dialogue, research and discussion. “Remembering for the Future”, launched by EAEA and DVV, was an initiative connected to the World War I centenary. Throughout 2014 the project collected information and media, highlighting activities that link the remembrance of World War One with discussions and thoughts on the future of Europe. Year 2014 marked the 100-year mark since the start of World War One. At EAEA and DVV, the year was seen as a chance to reflect on the past while also looking towards the future – and the potential for prolonged peace and cohesion in Europe. The project represented a wide network of Adult Education providers and NGOs all across Europe focusing on World War I. With this initiative, EAEA and DVV International provided a way of linking such undertakings, as well as creating opportunities for sharing and working together. The main objective of the initiative was to link various WWI related activities (organised by adult education providers) together in order to create dialogue, research and discussion. The idea was to link the history of World War I to the current situation in Europe – what can we learn from the past and how do we want to shape our mutual, European future? The theme of the initiative was also highlighted in the EAEA Grundtvig Award of 2014. Remembering for the Future project collected activities connected to World War I remembrance. Here are some of the events collected. WWI History Olympiad in Estionia – An international event with the focus on the First World War. August 27-30, Pärnu, Estonia. Here you can find all information concerning the “Remembering for the Future” conference in Sarajevo, 13-14 November 2014. The conference in Sarajevo combined discussions and presentations on World War I remembrance and the role of adult education in peace and conflict resolution. At the conference we reflected on what remembrance means for adult education in today’s Europe. We debated the role of adult education for peace and conflict resolution. The programme included key note speakers, interactive sessions such as a world café and a gallery walk, as well as a guided history walk through Sarajevo. The Sarajevo conference also served as an arena for the handing over of the EAEA Grundtvig Award 2014. Conference participants witnessed the Grundtvig Award Ceremony and learned more about the best projects of 2014 during the gallery walk. Ghosts of History – a collection of digital artists from around the world. Taking images of old and blending them with the new. Festival Europe 14|14 – Vote for your favourite poster! The festival concentrates on the theme of First World War – What does it mean to me? 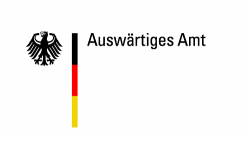 The project conference has been funded with support from the German Federal Foreign Office.